Marge Gaeth, 91, of Columbus, formerly of Schuyler, died Sunday, March 24, 2019, at her residence in Columbus. 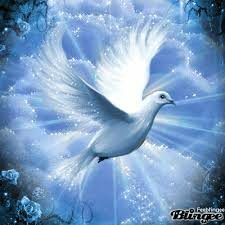 Funeral Service Thursday, March 28, 2019, 10:30 A.M.
Marge was born August 28, 1927, in Schuyler, to William and Anna (Shonka) Hoops. She attended Schuyler Schools and graduated from Schuyler High School. She worked for Attorney Ed Asche, Miriam Matousek(County Supt. of Schools), Dale Electronics and was Executive Secretary of Wagner Mills. Marge and Don lived and farmed northwest of Schuyler, retiring to Schuyler. Following Don's death, Marge moved to Columbus. 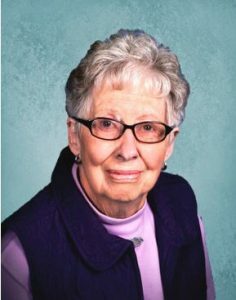 She was a member of the First Presbyterian Church where she had served as Secretary on weekends many years ago, the Mariners, Extension Club and a Bridge group for over 50 years. Marge also belonged to the Rebekahs and the Memorial Hospital Auxiliary. She enjoyed playing cards, golfing and spending time with her family. Marge and Don loved to travel and Marge continued traveling with her good friend, Melva Kluck. Marge is survived by her two daughters;Shirley (Larry) Spence of Columbus and Donna (Doug) Bruce of Hastings, 5 grandsons and 10 great-grandchildren. She was preceded in death by her parents and husband Don.